Today we mark the 117th anniversary of Linus Pauling’s birth, which took place in Portland, Oregon on February 28, 1901. At about this time last year, we sifted through and highlighted a collection of posts that we had published from 2010 to 2013, the idea being that relatively new readers might appreciate knowing about some of the more interesting bits that we had written in the past. In that same spirit, today we present ten sets of especially compelling or fun pieces that were authored and published between 2013 and 2015. Happy Pauling Day everyone! The History of the Linus Pauling Institute: A collection of ten posts published over the course of two months and detailing the history of Pauling’s namesake institute on the occasion of its fortieth anniversary. Dorothy Wrinch and the Theory of Cyclols: A four-piece series recounting Pauling’s sometimes hostile clashes with Wrinch, a British scientist whose thinking on protein structures came into conflict with Pauling’s in the late 1930s and early 1940s. Retracing Pauling’s Nobel Peace Prize: In 2013 we celebrated the fiftieth anniversary of Pauling’s Peace Prize by taking a close look at his road to Oslo and the experiences that ensued. The series examined the announcement of the prize in October; the response to this announcement by the media and by Pauling’s colleagues; the Pauling family’s trip to Norway; the Peace Prize ceremony itself; and the circumstances that awaited Pauling once he had returned home. The R/V Alpha Helix: Two posts chronicling the life and adventures of a research ship named after one of Pauling’s signature discoveries. Pauling’s Chiral Aliens: A fun look at an idea that Pauling had for a science fiction story, coupled with a follow-up post on the actual science behind Pauling’s idea, as submitted by Dr. John Leavitt, a former researcher at the Linus Pauling Institute of Science and Medicine and a long-time friend of the blog. Irwin Stone, an Influential Man: Two pieces looking at Stone’s life and impact, including the communications with Pauling that spurred a very high profile interest in vitamin C.
The Story of The Nature of the Chemical Bond: In 2014 we marked the seventy-fifth anniversary of Pauling’s most famous book by publishing a six-post series that investigated its authorship, publication and impact. Herman and Belle Pauling: An often melancholy inquiry into the short and difficult lives of Linus Pauling’s parents, neither of whom would ever come to know of the remarkable achievements attained by their only son. The New York Daily News Lawsuit: Of the many legal disputes in which Pauling found himself embroiled, this one was surely the strangest. As his program on orthomolecular psychiatry began to take off, Pauling’s work as an activist moved forward with as much zeal as ever. Despite criticism that his association with the Center for the Study of Democratic Institutions (CSDI) and his protests against the Vietnam War made no sense in the context of his scientific career, Pauling had stopped viewing his interests as an activist and his scientific research as being separate branches of a single life. Pauling happened to be at the University of Massachusetts a mere five days after Martin Luther King Jr. was assassinated. Invited to deliver a series of lectures as the university’s first Distinguished Professor, Pauling fashioned his remarks around the topic of the human aspect of scientific discoveries. Reflecting on the tumult of the previous week, Pauling told his audience that it was not enough to mourn the fallen civil rights leader. Rather, individuals of good conscience were obligated to carry King’s legacy forward by continuing the work that he began. In keeping with this theme over the course of his lectures, Pauling emphasized the scientist’s responsibility to ensure that discoveries be used for the good of all humanity and society, rather than in support of war and human suffering. Scientific inquiry should also emphasize solutions to current issues, he felt, pointing to the lack of equality in access to medical care in the United States as one such issue. Pauling saw his work in orthomolecular medicine as potentially solving this problem: vitamins were fairly inexpensive, more accessible, and could, he believed, significantly improve one’s mental and physical well-being. Notes used by Pauling for his talk, “The Scientific Revolution,” delivered as a component of the lecture series, “The Revolutionary Age, the Challenge to Man,” March 3, 1968. Pauling made similar connections to his work on sickle cell anemia. Though he was no longer involved in the daily operations of the CSDI, he continued to participate in a public lecture series that the center sponsored throughout his time in San Diego. In one contribution to a series titled “The Revolutionary Age: The Challenge to Man,” Pauling put forth a potential solution to sickle cell disease. As science had succeeded in identifying the gene mutation responsible for the disease, Pauling believed that forms of social control could be used to prevent carriers of the mutation from marrying and procreating. Over time, Pauling reasoned, the mutation would eventually be phased out. Pauling specifically called for the drafting of laws that would require genetic testing before marriage. Should tests of this sort reveal that two heterozygotes (individuals carrying one normal chromosome and one mutation) intended to marry, their application for a license would be denied. Pauling put forth similar ideas about restricting the number of children that a couple could have if one parent was shown to be a carrier for sickle cell trait. In proposing these ideas, Pauling aimed to ensure that his discovery of the molecular basis of sickle cell disease was used to decrease human suffering. Likewise, he felt that whatever hardships the laws that he proposed might cause in the short run, the future benefits accrued from the gradual elimination of the disease would justify the legislation. Partly because he called this approach “negative eugenics,” Pauling came into harsh criticism for his point of view; indeed, his ideas on this topic remain controversial today. In a number of the lectures that he delivered around the time of his CSDI talk, however, Pauling took pains to clarify that his perspective was not aligned with the broader field of eugenics, a body of thought to which he was opposed. On the contrary, Pauling’s focus was purely genetic and his specific motivation was borne out of a desire to eliminate harmful genetic conditions. At the end of February 1968, Pauling turned 67 year old, and the University of California regents used his age as a mechanism to hold up discussions about his obtaining a permanent appointment in San Diego. Sixty-seven, the board argued, was the typical retiring age within the UC system. Moreover, the UC regents were empowered to veto any age-related retirement exceptions and, given his radical political views, Pauling was unlikely to receive any support at all from the group, much less an exception. One of the stated reasons why the regents harbored concerns about Pauling’s politics was his increasingly strident rhetoric. Pauling frequently commended student strikes and demonstrations, and although he emphasized nonviolence as the most effective means to foster social change, he encouraged students to recognize that authorities may incite violence through tactics of their own. In these cases, he felt that retaliation was justified, even necessary. Pauling also believed that the regents and their trustees wielded too much power; for him they were part of a system that largely inhibited social progress and took power away from students. For their part, the regents saw Pauling in a similar light: a dangerously powerful radical who was constraining the university’s capacity to grow. Realizing that, in all likelihood, Pauling was soon to be forced out, his UCSD colleagues Fred Wall and Bruno Zimm began searching for a way to shift the governing authority for his reappointment to the university president, Charles Hitch, with whom Pauling had maintained a positive relationship. After months of negotiations, Zimm succeeded in winning for Pauling a second year-long appointment. Pauling expressed gratitude to Zimm for his efforts, but the slim possibility of a permanent position at UCSD had emerged as a source of lingering dismay. Looking for a longer term academic home, Pauling began considering other universities that might also provide better support for his research. Over time, Ava Helen had also found herself frustrated with UCSD and La Jolla in general. In particular, she disliked their rental house and missed their previous home in Santa Barbara, where she had been able to tend a beautiful garden. As 1968 moved forward, the couple began spending more and more time at Deer Flat Ranch, with Ava Helen hinting that she would like to make the ranch their permanent home in the coming years. 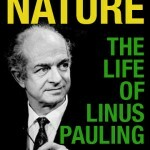 We have written previously about Linus Pauling’s affiliation with the Center for the Study of Democratic Institutions (CSDI), and also of the difficulties that he encountered in what ultimately proved to be a doomed attempt at securing a position at the University of California, Santa Barbara in 1964. Over the next three weeks, we will focus on the years that Pauling spent at the University of California, San Diego, the institution where he began his experimental work in orthomolecular medicine. As we will see, Pauling’s tenure at UCSD, though short-lived, offered him the opportunity to pursue a mission that he had initially sought out, and failed to obtain, at the Center for the Study of Democratic Institutions: the application of scientific and medical research to political and social issues. In 1966, UCSD Vice Chancellor for Research Fred Wall, an accomplished chemist who was eager to rectify the disappointment that Pauling had experienced with UC-Santa Barbara, invited Pauling to join the faculty at UC-San Diego. Pauling was initially hesitant. He remembered all too well the hostility that informed University of California Chancellor Vernon Cheadle’s refusal to consider his appointment at UCSB, a position that was fully supported by the UC regents. This history fresh in mind, Pauling saw no reason why he would be permitted to teach at UCSD; afterall, his political views hadn’t changed over the past two years and he’d become, if anything, even more vocal about them. urge that every effort be made not only to induce him to accept the present appointment assured for one year, but also to press with all means possible for its renewal for whatever periods Dr. Pauling and the faculty involved agree to be appropriate. Galbraith likewise went out of his way to praise Pauling’s excellent lecturing ability as being a potential asset to faculty and students alike. Similarly, he affirmed that Pauling’s appointment would prove valuable not only to the chemistry department, but to the physics and biology departments as well. In due course, faculty in all three departments signed the petition and the chemistry department unanimously voted in favor of Pauling’s appointment. Pauling, buoyed by this strong show of support, accepted a one-year appointment with the university, a contract that carried with it the understanding that a tenured position might be offered in the coming years, so long as the UC regents didn’t interfere. A letter from Ava Helen Pauling to her son Peter, as well as a statement made by Pauling in the Women’s International League for Peace and Freedom Newsletter, indicate that his initial take on UCSD was a positive one. Perhaps most importantly, the university offered him the means to return to scientific research, a clear source of invigoration following two years at the CSDI, which was not capable of providing him with adequate lab space. In her letter to Peter, Ava Helen confirmed this new feeling of enthusiasm, particularly as it was coupled with exciting, if nascent, investigations on orthomolecular topics. Pauling himself called UCSD a “first-rate” institution and expressed his satisfaction with the top scientific and medical researchers who had made it their academic home. It didn’t take long for Ava Helen to find a house to rent in La Jolla and shortly thereafter, in September 1967, Pauling arrived at his new office on the UCSD campus. In their initial meetings, Bruno Zimm, the chemistry department chairman at the time, encouraged Pauling to develop customized coursework that might explore specialized subjects of Pauling’s choosing over the upcoming terms. Pauling replied that it was his preference to focus predominantly on research, as his salary was coming entirely from research funds. He remained active on campus however, participating enthusiastically in a lecture series targeting first year students. Shortly after settling in, Pauling began partnering with Arthur Robinson, a former student at Caltech, and now an assistant professor in the UCSD biology department. Together, the duo would tackle Pauling’s latest research quest: an exploration of orthomolecular medicine. This fruitful collaboration eventually led to their co-founding of the Institute for Orthomolecular Medicine, now known as the Linus Pauling Institute at Oregon State University. Pauling’s research was being supported by UCSD as well as lingering funds from CSDI, but soon it became clear that his team would need additional resources. As he delved further into his orthomolecular program, Pauling estimated that the work that he had in mind would take at least five years, a length of time that was extended, in part, by the small size of his research team. In addition to Pauling and Robinson, the UCSD group consisted of two lab technicians (Sue Oxley and Maida Bergeson), a post-graduate resident (Ian Keaveny), and two graduate students (John and Margaret Blethen). When applying for grants, Pauling described his research as seeking to discover better diagnostic and treatment methods for mental illness. In his applications, Pauling asked mainly for equipment funds, and he usually received what he wanted. Pretty quickly, his team found that vapor-phase chromatography – a process that had been suggested by Robinson at the outset of the project – was the most effective technique for engaging in quantitative analysis, and the grant applications that followed sought to enhance these capabilities in the laboratory. Pauling’s goal during these first years was to uncover and establish a link between mental illness and deficiencies of various vitamins. At the outset, the team specifically planned to look at the correlation between fluctuations in mental health and variations in intake of ascorbic acid (Vitamin C), nicotinic acid (B3), cyanocobalamin (B12), and pyridoxine (B6). Pauling believed that the brain and nervous system were especially sensitive to molecular composition and structure, and that certain mental illnesses were actually a problem of localized cerebral deficiency. This was, in essence, the guiding principle behind much of the team’s work. Pauling also felt that schizophrenia had not received adequate scientific study, and so the group decided to focus their primary research on schizophrenics. If all went according to plan, the following three years would be devoted to developing diagnostic tools to identify deficiencies as well as effective therapies for correcting the deficiencies. The researchers would also use this time to explore the impact and consequences of other vitamin deficiencies. Though enthusiastic about this program, in several of his publications and speeches on the topic Pauling took pains to present orthomolecular therapy as being an adjunct to, and not a replacement for, traditional methods such as psychoanalysis, antipsychotics, and antidepressants. During the CSDI years, Pauling’s grant funding from the National Science Foundation had been continuously delayed, largely because he didn’t have a lab in which to conduct the work. Once he was established at UCSD however, the NSF was quick to award him the grant money that he’d long ago requested. Pauling also received funding from the Department of Health, Education, and Welfare, and additional monies from the CSDI were likewise set aside, should he need them. The group began working in earnest in late 1967, focusing on measurements of vitamin absorption, and by April 1968, Pauling had published his introductory paper, “Orthomolecular Psychiatry,” in Science. The article, which proved influential, drew from the existing literature, focusing especially on a study by Abram Hoffer and Humphry Osmond, who had reported improvement in mentally ill patients treated with a regimen of nicotinic acid and nicotinamide. In short order, Pauling began to receive a growing volume of letters from community members who had been directly or indirectly affected by mental illness. Pauling took care in replying to these correspondents, often pointing them toward additional resources for more information and encouraging them to write again if they had further questions. The response from medical researchers and physicians to Pauling’s paper was mixed; on the whole, they remained largely unimpressed with Pauling’s work. Nonetheless, Pauling never failed to emphasize the importance of his research, and the general public responded favorably to this confidence. At Deer Flat Ranch with Ava Helen near the end of her life, 1981. A professional portrait shot on the ocean adjacent to the ranch, 1983. Credit: Joe McNally. In black tie with Jill Sackler and Andy Warhol, New York City, 1985. Posing for yet another bust, 1986. Taking a moment at the ranch, 1987. In his study at the ranch, 1987. On the deck at the ranch with Werner Baumgartner, a fellow chemist. 1987. The red jacket makes another appearance, 1989. Seated in the original Special Collections reading room at the Kerr Library, Oregon State University. 1990. Celebrating his 92nd birthday with his sister Pauline, 1993. Later on in 1993. By now, Pauling’s health had begun to deteriorate as his cancer worsened. With son-in-law Barclay Kamb, grandson Sasha Kamb, and a new grandchild, 1994. Pauling in 1902, age 1. Note in particular the necklace. Pauling, age 5, posing in buffalo-skin chaps, 1906. Linus’s father had this photo commissioned for use in advertising his Condon, Oregon pharmacy. Linus, at center, with his two sisters, Lucile (left) and Pauline. This photo was also taken in Condon in 1908. Eight years later, the Pauling children posed near their home in Portland with their mother. From left to right: Lucile, Linus, Belle and Pauline Pauling, 1916. Pauling in his ROTC uniform during Fall term of his freshman year at Oregon Agricultural College. He is sixteen years old in this photo. Two years of ROTC was compulsory for all male students attending OAC at the time. An iconic portrait of the young Pauling taken the summer after his freshman year at OAC. Specifically, this photo was taken on the Oregon Coast in Tillamook, where the Paulings spent some time during the summer of 1918. Linus worked as a pin boy at a local bowling alley during the stay. Another photo of Pauling in his military dress, 1918. Though only two years were required, Pauling opted to remain in ROTC for the entirety of his OAC experience, graduating from the college having attained the rank of Major. Far from a typical look for Pauling, this image is cropped from a group photo of participants in the OAC “Feminine Section Intrafraternity Smoker,” circa 1920. Pauling with his life-long friend, Paul Emmett, in 1920. Also a Beaver, Emmett went on to become a major scientific figure in his own right, making significant contributions to the study of catalysis chemistry. Emmett also became Pauling’s brother-in-law when he married Pauline Pauling late in life. Pauling clowning around sometime near his graduation from OAC in 1922. Newly arrived at Caltech, Pauling poses on the back of a student’s car. Pauling with his bride, Ava Helen, her mother, Nora Gard Miller, and Nettie Spaulding, one of Ava Helen’s eleven siblings. Standing at front is Nettie’s daughter, Leone. 1924. The young couple outside their Pasadena home in 1925. Linus had been working on their Model-T Ford prior to this photo being taken. Looking very California on a trip to the beach. 1925. At the Temple of Neptune, Paestum, Italy, during his legendary Guggenheim trip to Europe. This photo was taken by Ava Helen in April 1926.